It's not every day that I come across a brand that radicalizes my world. 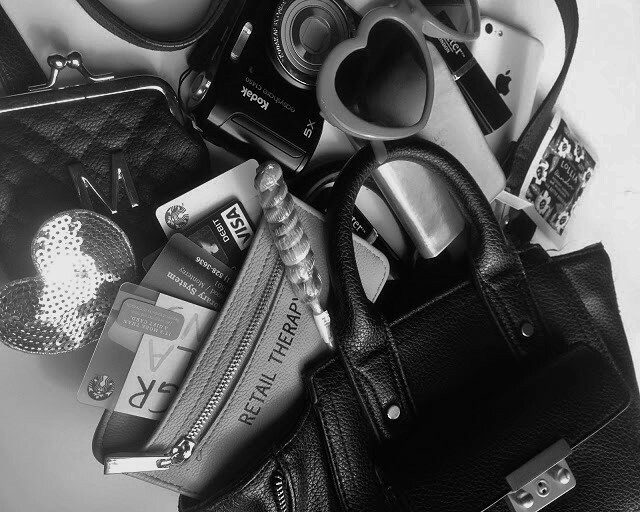 Yes, even me who can fall in love with pretty much any brand that has an inspirational founding story. So Worth Loving is one of the few that has actually changed my day to day life because it reminded me of a very simple truth: life goes on. I actually found SWL on Instagram over a year ago and freaked out when they were featured in Disfunkshion magazine. But not until recently did I get it. Like really get it. These past few months have been a roller coaster for me and sometimes I just needed to step back and look at the bigger picture. I worry so much about the minute details -- this minor test, that simple writing assignment, blah blah blah -- that it ended up making my life miserable. I was so high strung and worried about what my next grade would be that I wouldn't allow myself to enjoy anything because in my mind if I wasn't doing well academically I didn't deserve to enjoy things. I felt guilty about having a good tasting meal or reading a really funny tweet. Those things were reserved for times of reward and unless I was doing well in all of my classes I shouldn't be having "rewards." That's what I was telling myself on a daily basis. But then I gained a little bit of perspective. Amidst all of the overwhelming emotions and unnecessary anxiety, I found encouragement in the idea that I was worth loving regardless of how my life (socially, academically, or otherwise) was going. At first it seemed a little extreme to me because I never overtly thought of myself as unworthy of love... But then I realized that my issue with personal worth wasn't about how the world viewed me, it was how I viewed myself. I didn't think that I was worthy of my own love. But then perspectives shift. I had something short of an epiphany and realized that I am so worth loving. I am allowed to be proud of myself for my accomplishments; I am allowed to embrace my individuality; I am allowed to be happy about little achievements; I am allowed to love every part of me. Many other companies that I love and support focus on the deep, dark issues within us, but So Worth Loving takes a different approach. It's not about any specific disorder or disadvantage and it's really not about raising awareness for a certain issue. So Worth Loving is a company for the actual people who are struggling and need that little bit of support in order to keep going. It is the voice in the back of your head that keeps reminding you "life goes on; it will be okay." The day Milky Jelly was released I vowed not to purchase it until the Clinique cleanser I had bought just three weeks prior had completely run out. 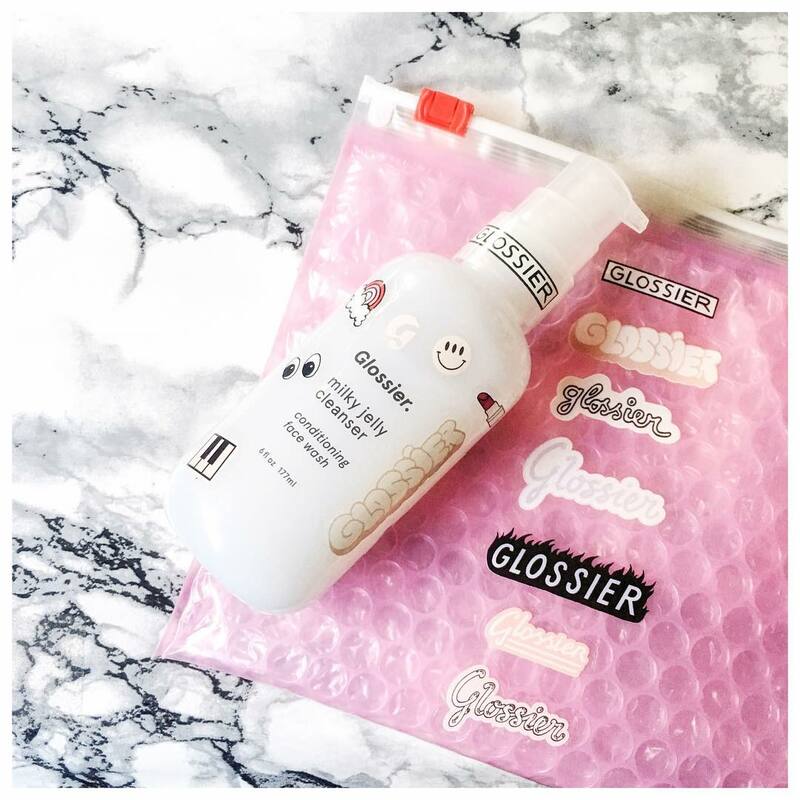 But Glossier has this hypnotic ability to make me want to buy everything they make and feel giddy while doing it. 'Twas the reason I broke my vow within 48 hours of making it. Plus, thanks to Tamira Jarrel, I had $5 dollars off and free shipping so it would have been a sin not to order at least one bottle. I have absolutely no regrets because since getting my brand new, glossy bottle of Milky Jelly in the mail I have barely batted an eyelash at my Clinique cleanser that at the time of purchase I thought was a godsend. This isn't a substitute for a full review, but I think it's worth a penny or two to get just a few quick thoughts about the uber-hyped, crowd-sourced (which is truly an amazing thing!) 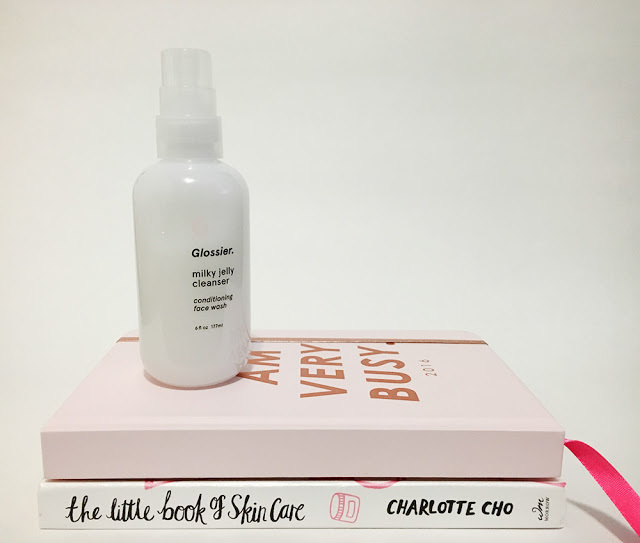 Glossier cleanser. Because, ya know, sometimes a cleanser is just a cleanser. Luckily, that's not the case with Milky Jelly. I still am a little partial to all of Shiseido's luxe skincare products, but the Milky Jelly formula is an amazing alternative because 1) it is insanely cheaper than anything Shiseido offers, 2) the packaging is right up my alley, as all Glossier products tend to be, and 3) it is so gentle on the skin that it almost feels as if it isn't doing anything until you rinse it off and pat your face dry and see the refreshing results. And as a bonus 4) because of the added rosewater it's reminiscent of the soothing face mist which makes it smell and feel 10x better. I am genuinely shocked at Emily Weiss and Co.'s ability to craft a cleanser that melts away makeup while also gently massaging clogged pores 'til they're squeaky clean. Honestly, Milky Jelly is one of the best Glossier products... maybe even better than the Balm Dotcom. Now that there is another product in their collection that rivals some of the Glossier greats there can officially be a Glossier dream team: Balm Dotcom, Boy Brow, and the newly inducted Milky Jelly! The must haves of Glossier Phase 1. It's been a while since I've been on Pinterest and even longer since I've done a Pinspiration post. I miss the constant inspiration I use to get from browsing Pinterest every day and reaalllyy miss the free time I used to have curating niche boards. But now that I'm in college and it seems as though time (and motivation) is always slipping away from me, the only real time I get to partake in the lustrous activities of Pinterest are when I'm doing posts like this.